Showing a home has the potential for all kinds of danger to both real estate agents and those who are selling their homes by owner. You always want to be safety conscious from the moment that you make the decision to sell. For starters, be careful what you put in your listing. You won’t want to advertise that your home can’t be seen by neighbors or from the street – even if that’s the case. This acts like an invitation to thieves or people intent on doing harm to others. You have to make sure that you lock up all your valuables and never keep any cash lying around. You also have to make sure that you don’t leave any documents within easy access that thieves can use for the purpose of identity theft. Savvy thieves often work homes in pairs. One will distract the owner while the other one will look through personal belongings for anything of value. For your safety’s sake, you have to know how to protect yourself and by following a few safety guidelines, you can stay safe while you’re showing your home. Always schedule the home showings. You don’t want people stopping by your house, saying that they saw the house for sale and asking if they can come in and view the property. Instead, tell them that your home viewings are by prearranged appointments only. You need to have an email or a phone number set up specifically for people to leave their contact number. Have a show buddy. Never show your house if it’s just you alone. Even if you’re a male, you can be robbed or overpowered and put in danger. Someone with malintent will take a chance with one person, but often not with two or three. Don’t arrange to show your home when it’s dark outside. If the person who wants to see the house says that’s all the time that he has, then he’ll have to move on. Someone who’s truly interested in the home will make arrangements to show up during the daytime. 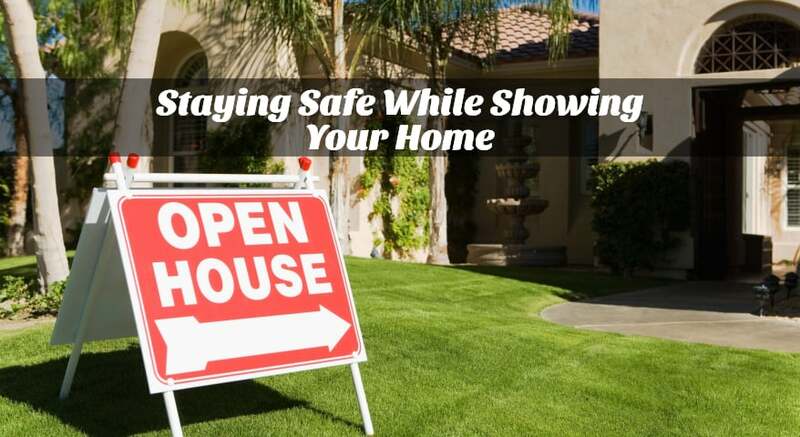 When you’re showing your home, you’re showing it to strangers and you don’t want to be caught unprotected – so don’t allow people to crowd you or walk behind you. You stay behind them. Make sure you have a fully charged cell phone in your hand and know ahead of time how you’re going to react if something does happen. Plan to be able to dial the police or know how you’re going to get out of the house. If you don’t have a home alarm that you can set off, use a car alarm key that will sound if you press the button. Ask questions when someone calls you wanting to see the home. Ask what they’re looking for in a house, if they’re working with a real estate agent, and leading questions like what type of financing they’re looking for. People who seem cagey can set off red flags. Remember to always trust your instinct before showing your home. If you get a bad vibe about someone, don’t make the appointment or don’t let them into your home.